If a new design didn’t have problems, you wouldn’t know it worked. Or something like that, but more sane sounding. This entry was posted on Friday, May 30th, 2008 at 12:16 pm. Definitely woo! 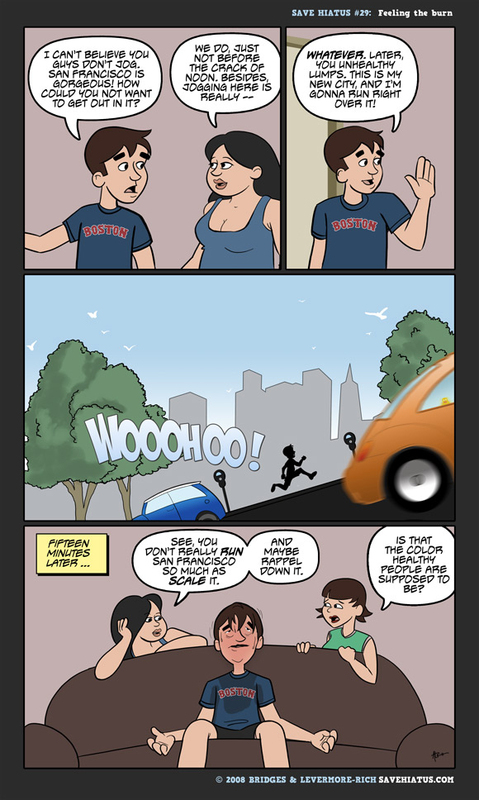 (have never lived in San Francisco, but would probably look like that if I tried jogging there… ) Thanks for all the laughs!